Is there trouble in paradise for the Trumps? It seems America’s first family is having a hard time disguising their familial woes. It seems America’s first couple are having a hard time disguising their discord. A second video has emerged showing President Donald Trump reaching for wife Melania’s hand but she once again awkwardly avoided holding it. On Monday cameras had caught the 47-year-old brunette as she slapped her husband’s hand away after landing in Israel. Ever the fighter, Trump (70) tried holding his wife’s hand again but she still wouldn't have any of it. In the second video the couple had just touched down in Rome, Italy, and disembarked from Air Force One when the 45th US president reached for Melania’s hand. Instead of a slap, his Slovenian-born wife of 12 years simply decided that at that moment a strand of hair needed fixing. But Trump wasn’t going to take the second one lying down and lovingly placed his hand on her derrière. The couple’s marriage has been under the spotlight a lot lately, with some speculating there might be trouble in paradise. 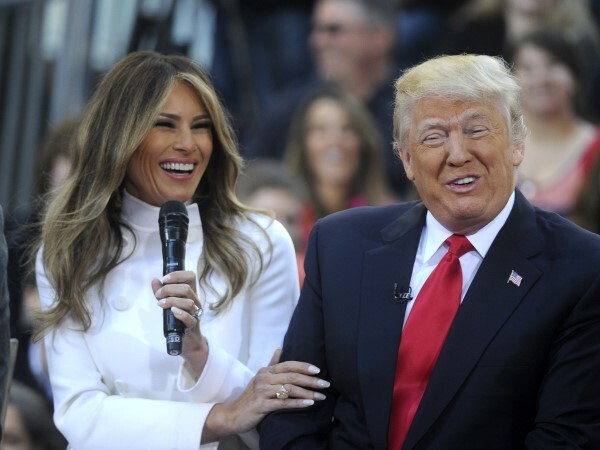 The rumour mill went into overdrive after a video taken at Trump’s official inauguration earlier this year showed a smiling Melania while her husband turned around to address her. Her smile went cold the second he turned his back. 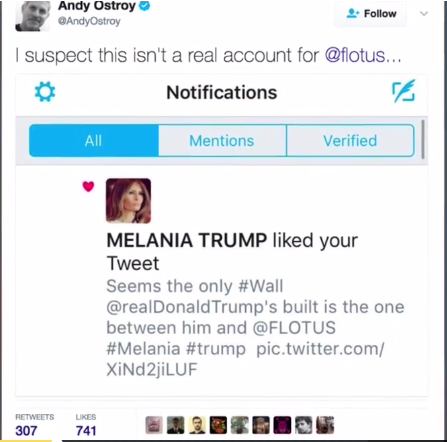 Melania even "liked" a meme shared on Twitter that read, "Seems the only #Wall @realDonaldTrump's built is the one between him and @FLOTUS #Melania #trump." She quickly un-liked it again but the internet never sleeps and the First Lady’s click-of-the-heart was spotted. This isn’t the first time the Trumps and their hand-holding have been in the news. Earlier this year, it was Trump who awkwardly dismissed holding his wife’s hand after they landed for a short visit to his Mar-A-Lago resort in Palm Beach, Florida in the US. A body-language expert told Daily Mail back then it could be interpreted as Trump's attempt at being more presidential. So what does the body-language expert say about Melania’s dismissal of her husband’s hand? That she won't be treated like a child, Wood told The Independent. Whether the utter refusal of public displays of affection could be out of respect for the holy city of Tel Aviv, a little tiff between the couple or an indication of serious problems we'll never know. But one thing is sure, America’s first family never disappoint when it comes to drama.